Experience the difference Still Waters Grounds Maintenance can make with its unparalleled service, knowledge, and professionalism. Located in the picturesque Lehigh Valley, PA, we are here for all your landscape needs. Experience the difference Still Waters can make. 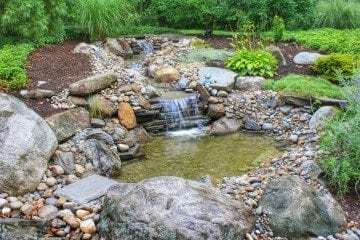 A beautiful landscape comprises of so many different aspects, from healthy trees and shrubs to a lush manicured lawn, to weed-free mulched beds with crisp edges. 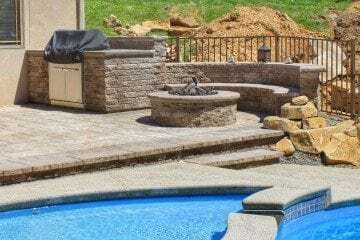 Still Waters installation teams provide a number of different services including patios, walks, retaining walls, outdoor kitchens, fire pits, irrigation systems and more! Check out some great design concepts, 3D layouts, and photos from our recent water feature projects and landscape installations.